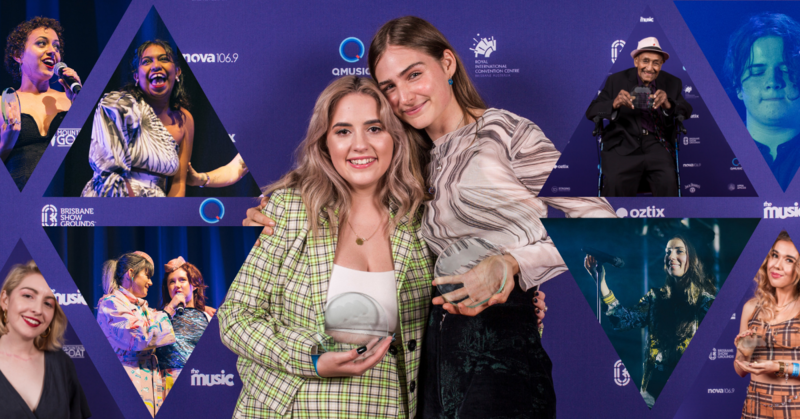 Held at the Royal International Convention Centre in Brisbane last night, the Sunshine State’s music industry night of nights, the 2019 Queensland Music Awards (QMAs), was a spectacular celebration of homegrown emerging acts and household names alike, demonstrating that Queensland artists continue to push above their weight, delivering outstanding music to Australia and beyond. Hosted by The Grates’ Patience Hodgson and comedian Mel Buttle, the night kicked off with international pop sensation (and Gold Coast homie) Amy Shark, performing her smash hit I Said Hi – a touching tribute to the Awards she says helped launch her career. 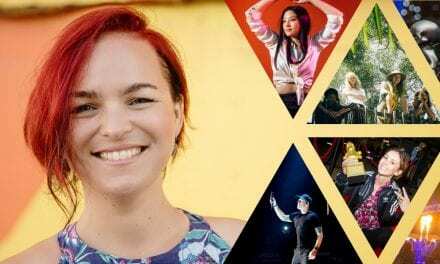 The talented globetrotter took home the Singer-Songwriter Award for the track which was also acknowledged as Queensland’s highest selling single, while her album Love Monster took the crown for highest selling album. Starlets Emily Wurramara and Clea shared the throne for most number of awards, both taking home two gongs each: Emily in the Blues/Roots and Indigenous categories (the latter of which she’s won two years running) and Clea in the Pop and coveted Song Of The Year for her whimsical single Dreaming, which she performed later in the evening. High praise is also due to teen juggernaut, Tia Gostelow, who is the youngest winner to take out Album Of The Year for her introspective dream-pop masterpiece, Thick Skin. An event that champions all career spans, it was touching to see young talents Tokyo Twilight honoured with the Schools Award while at the other end of the spectrum, Henry “Seaman” Dan was bestowed the Grant McLennan Lifetime Achievement Award for decades of work that included recoding his debut at age 70. Uncle Seaman, as he’s affectionately known, remains the oldest person to have won an ARIA and remains a pillar of his community, blending traditional Torres Strait Islander songs and pearling songs with jazz, hula and the blues. He turns 90 in August and made the trek from Cairns to accept the award in person – an inspiring, personal highlight of the night. Other renowned Queenslanders to nab a trophy included Dead Letter Circus, Sahara Beck, The Kite String Tangle and The Jungle Giants, who took out the Heavy, Regional, Electronic/Dance and Rock awards, respectively, while rising stars Asha Jefferies, The Biology of Plants and Emma Beau won World/Folk, Jazz and Country. Lynne Thorpe and Arts Minister Leeanne Enoch awarded the 2019 Billy Thorpe Scholarship to Brisbane dream-pop shoegaze outfit Pool Shop, who’ll receive $10,000 to record their next release along with career planning advice from Chugg Entertainment. 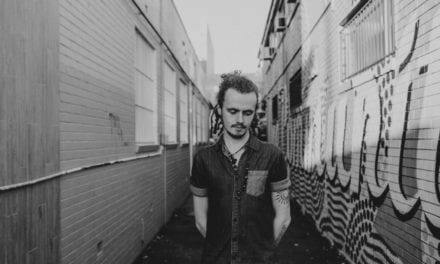 “Feeling very humbled, overwhelmed and grateful, receiving the QMusic Billy Thorpe Scholarship. I’ll receive the opportunity to work with an established producer and career advice from Chugg Entertainment. Thanks to the judges who made the tough choice,” said Pool Shop frontwoman, Jaimee Fryer. It wasn’t just industry personnel making the decisions though, with over 8,000 people voting in the People’s Choice Awards which saw Gold Coast’s Nightquarter awarded Regional Venue of the Year alongside Brisbane’s The Triffid who took out Metro Venue of The Year. Our favourite though was Festival Of The Year, bestowed upon Big Pineapple Music Festival who vowed to use the award as a “shield of steel” against any possible Queensland Government attempts to follow New South Wales’ shocking festival policies. 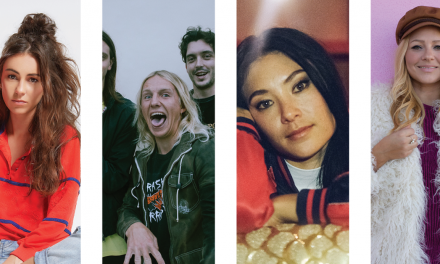 With witty commentary, heart-felt acceptance speeches and mind-blowing live performances by Amy Shark, DZ Deathrays,Resin Dogs, Clea, Bobby Alu, Emma Beau and Tokyo Twilight, the 2019 QMAs has set the bar high for Australian music. Three cheers to all the winners, nominees and everyone that works in the Queensland music scene – you’re all winners in our eyes! Feature image: Central image – QMA 2019 winners Tia Gostelow and Clea. All images courtesy of QMusic’s official awards photographer Bianca Holderness.